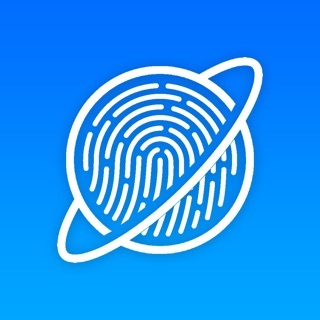 InBrowser is an incognito/private browser for iOS with video support. Each time you exit InBrowser, everything you’ve done in the app will be erased, including history, cookies, and sessions. InBrowser is a feature rich browser, and it’s in permanent private mode. With InBrowser, you can check Facebook on a friends device, do some gift shopping, plan a surprise party, search for a medical condition, watch a video, or simply avoid auto-filling the search history. 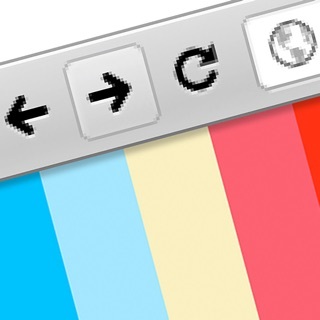 Using InBrowser, you can do all this and more without leaving a single trace. • Absolutely no data is saved. When you exit InBrowser (or press the “Clear Current History & Cache” button in the InBrowser settings menu), all browsing data and history are removed. InBrowser has been updated and optimised for iOS12, but we still support iOS9 and above. InBrowser uses the new and improved web rendering engine (WkWebView) available on iOS8 which display pages a lot faster than before. 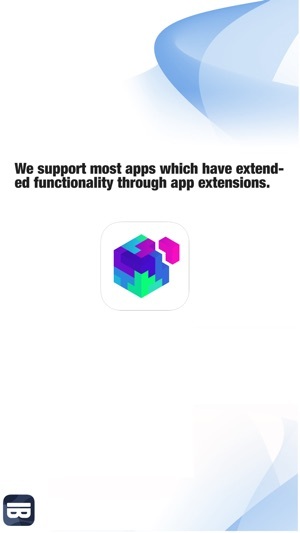 - We also support most apps which have extended functionality through app extensions. Using agent cloaking, you make websites think that you're visiting from Chrome, Internet Explorer, Firefox, or iOS, giving you a richer and more complete browsing experience. Please notice that this won’t work on pages that are responsive. 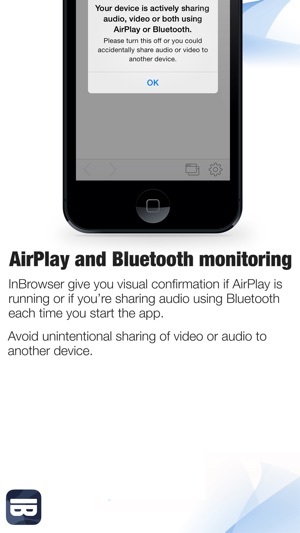 InBrowser gives you visual notification if AirPlay is running or if you’re sharing audio using Bluetooth each time you start the app, avoiding unintentional sharing of video or audio to another device. InBrowser is designed from the ground up to work on both iPhone and iPad, regardless of model or screen size. 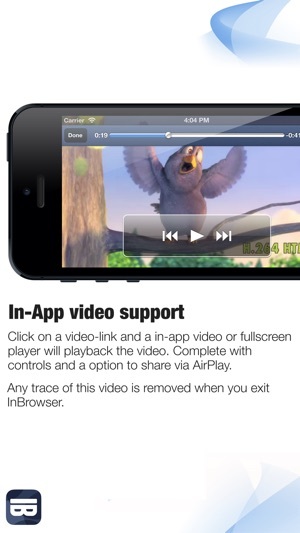 Clicking on a video link will play your video content in InBrowser’s in-app video player. Any trace of this is removed when you exit the InBrowser. • InBrowser can optionally run in the background. InBrowser can remember active tabs, even if you close down the app, and the browser can be manually cleared by pressing the "Clear Current History & Cache" button. Run in the background is disabled by default but can be enabled in the settings. InBrowser will always be free of charge, and there are no hidden fees associated with the app. No ads are bundled in the app, only one or two (html) ads on the start/error page, and that’s it. For support, please check out our GetSatisfaction page athttp://getsatisfaction.com/tompodapps. Please don't give us a one star rating due to support issues. We’re here to help! 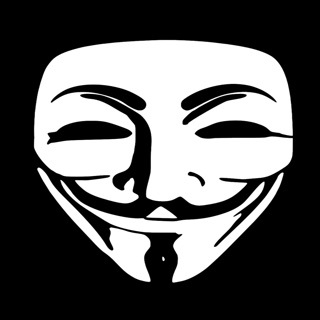 Please notice that InBrowser isn't a anonymous proxy such as the The Onion Router (TOR) or a VPN; we're an incognito and private browser. It works good... but my question is how many people use this to look up p*rn?